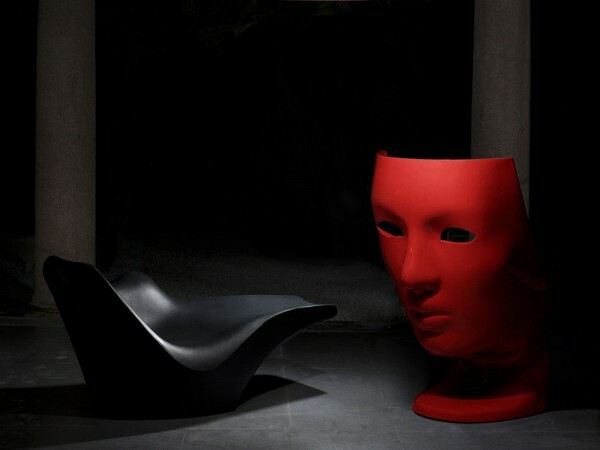 The Nemo armchair, designed by Fabio Novembre for Driade, with the charateristic face-form or theatre masks. It is extremely robust and therefore adapted for the indoor and outdoor use. 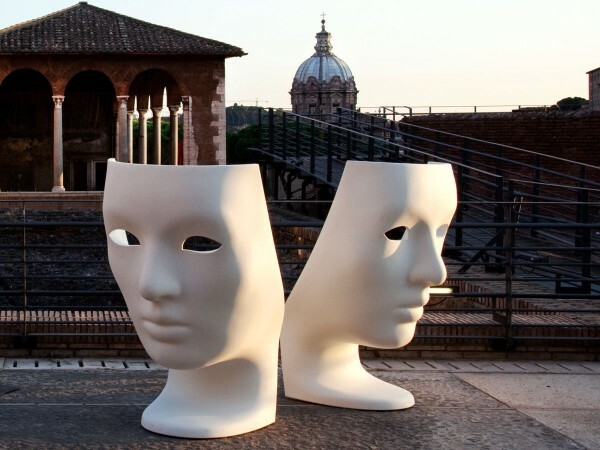 Visually the Nemo Chair reminds of the classic Venetian theatre masks. The high backrest and the deep seating shell, make Nemo an ideal retirement place and promise quietness and relaxation. 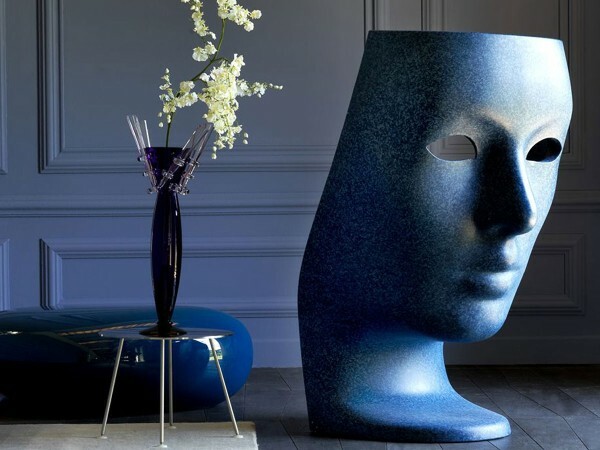 There are “eyes” in the backrest so that the user can still be a part of its environment, even if he is hiding. 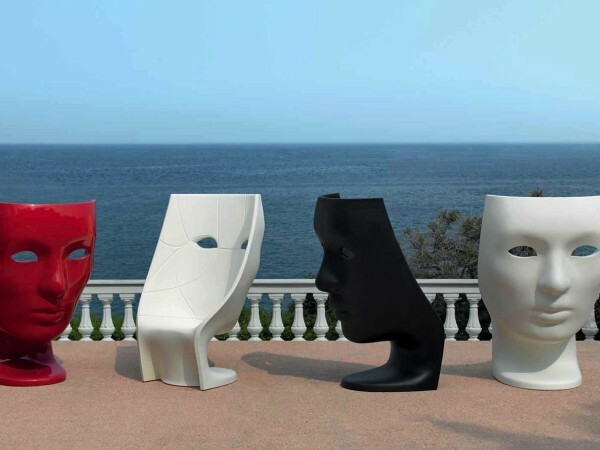 The Nemo Chair is extremely robust and therefore suitable for the indoor and outdoor use. The used materials is polyethilene.